You have decided to go for a new code zero or downwind asymmetric. To ensure the furling system fits your boat, it is important to take a physical measurement of the maximum space available from the attachment point of the drum to the full hoist halyard position. 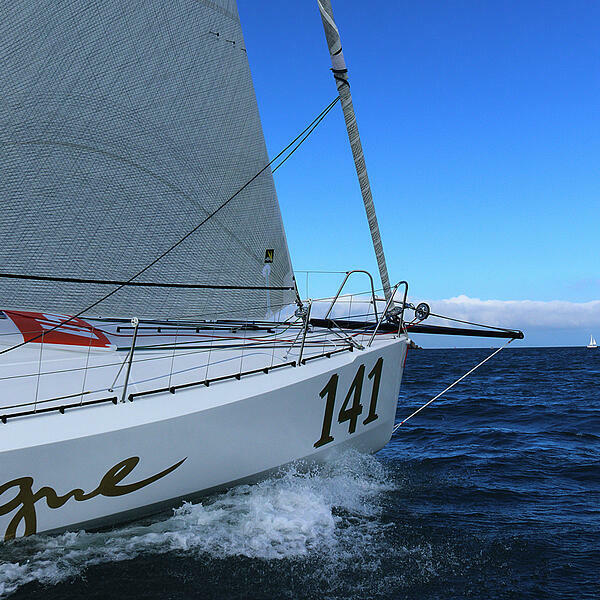 Whereas for a top-down system, your furling system supplier needs this dimension to maximise cable length, which is relatively independent of the asymmetric / gennaker luff length. Use a strong, preferably metal, tape measure. Try to take the measurement on a calm day with little wind. Attach the end of the tape measure to your normal halyard shackle, as if you were clipping on the sail. Top tip: also attach the halyard tail to the halyard shackle to make sure you can pull the halyard back down again without damaging the tape! Hoist the halyard until the halyard reaches its maximum hoist position – in the sheave or fairlead at the top of the mast. Hold the tape measure taught and measure the distance to the attachment point on the bow where the furling drum will be fixed. 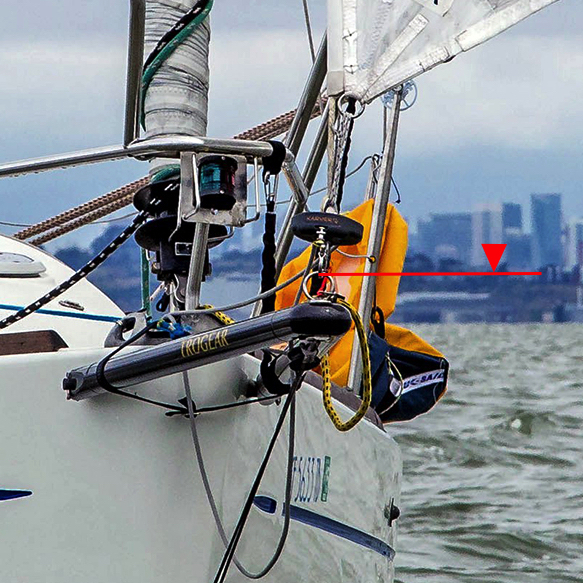 This may be an attachment point on your anchor roller or bowsprit, if you have one. Drop the halyard a metre and then re-hoist to the maximum position and take the measurement again. Ask someone else to take the measurement for you, to make sure it is correct. When you give your sailmaker or furling system provider this measurement, be sure to indicate your level of confidence in the measurement. 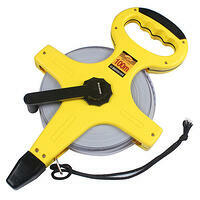 If it was windy, or you were using a stretchy tape measure this can impact the quality of the measurement. Calculation of the final cable length involves a safety factor, and this is designed to include measurement accuracy. So, if you were using a steel tape on a calm day you may be comfortable that your measurement is +/- 5mm whereas with a nylon tape on a windy day it may be +/-25mm. This is important information which you should convey when providing your measurement. In a future post we will explore how the final length is calculated from this “maximum available space” measurement. If you have any questions or need any help with a measurement onboard, please contact us at support@upffront.com. Or if you would like some advice on furling systems for your boat use the link to our Furling System Enquiry form below.